marriage? Can there be anything more beautiful than young love?" And the answer is given. "Yes, there is a more beautiful thing. 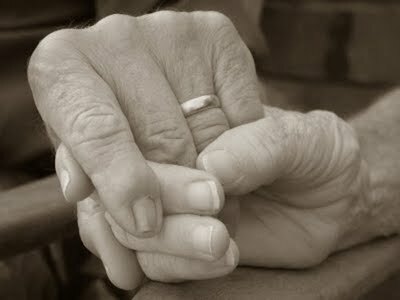 It is the spectacle of an old man and an old woman finishing their journey together on that path. Their hands are gnarled, but still clasped; their faces are seamed, but still radiant; their hearts are physically bowed and tired, but still strong with love and devotion for one another. Yes, there is a more beautiful thing than young love... Old love." Αναρτήθηκε από Charlie Chaplin στις 2:59 π.μ.